AVCHD is a new word for most people. Even when HD camcorders are now more and more popular, most owners still don't know what the video files are and how they are stored. Actually, AVCHD is a file-based format for the digital recording and playback of high-definition video. This format folks the quality of videos. If you have ever compared AVCHD with other normal videos, you will find AVCHD videos are sharper and more smooth. Where are AVCHD files from? Actually, the answer has been shown in the top: HD camcorders. Since being introduced in 2006, this format has almost been the standard for camcorders. But it's a pity that AVCHD still can't be handled completely. For example, most video players don't support this format. 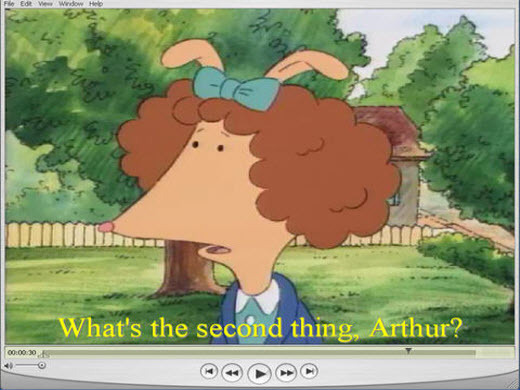 If you have a Mac, you will find that when broadcasting AVCHD videos, the acquiescent player is VLC, instead of QuickTime. But to most people, QuickTime is their favorite. That's because QuickTime could play videos more smoothly, but VLC usually supply jumpy images and sometimes even terminate the Mac. This problem didn't bother me until I find the correct solution: conversion. Generally speaking, conversion stands for change. It's quite easy to change the video format by transcoding it with the video conversion tools. With this method, most "compatible" problems could be solved. For example, QuickTime couldn't support AVCHD directly, but if you convert AVCHD to MOV, QuickTime will read the new one smoothly. That's mainly because MOV is the native video format for QuickTime. You can also convert AVCHD to Apple ProRes for FCP editing, another example. 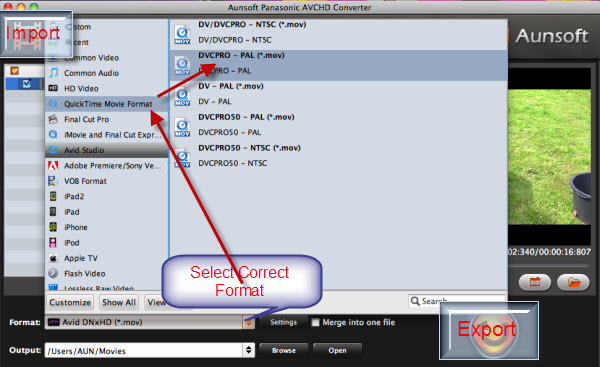 Aunsoft Panasonic AVCHD Converter for Mac works as the best "third-party software" mentioned. This product is mainly for AVCHD users. But don't be confused about "Panasonic". This software could handle any AVCHD file freely, no matter which camcorder it's from, such as Sony or Canon. (Make sure your videos are with AVCHD format.) Aunsoft Panasonic AVCHD Converter for Mac is really easy-to-operate, and the main steps are shown as: Import, Convert and Export, just like the following picture shown. Then, check the new videos. You will find there is even no quality loss in the conversion process. New videos are still with high quality, just the same as original ones. OK, now you can enjoy such camcorder videos on QuickTime freely, leaving VLC alone.